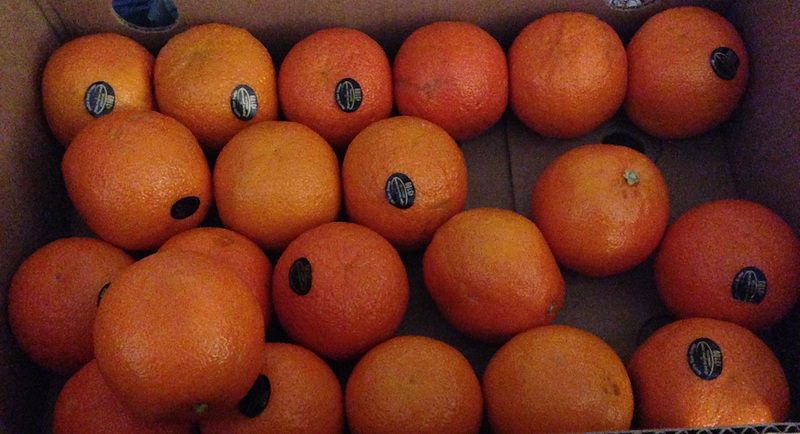 I scored a box of Seville oranges on Wednesday – mail ordered from Ripe To You. The minimum order was 16 pounds, which posed a bit of a befuddlement: what do you do with sixteen pounds of sour oranges with a bitter peel? Why, make marmalade, of course! That’s the traditional use for Seville oranges – the peel adds a touch of bitterness to offset the sweetness of traditional marmalade. And, conveniently, I had a copy of The Blue Chair Jam Cookbook, which offers seven or eight recipes for marmalade using Seville oranges. Seville orange marmalade with cinnamon. I may add some ginger as well (or even replace the cinnamon entirely) since I think ginger marmalade sounds super tasty! Seville orange marmalade with coffee and cardamom. Sounds weird, but the author says it works beautifully. Must try it! If I have extra I’ll make traditional marmalade as well – though that is less interesting to me since I know what it tastes like. My philosophy is the same as that of the mongoose Rikki-Tikki-Tavi in Rudyard Kipling’s stories – “Run and find out!” I’d rather make the exotic than the familiar. This is a three day process, and I started yesterday, so these two batches will finish on Saturday. Tomorrow I’ll start the two-day marmalades, which will finish on Sunday. 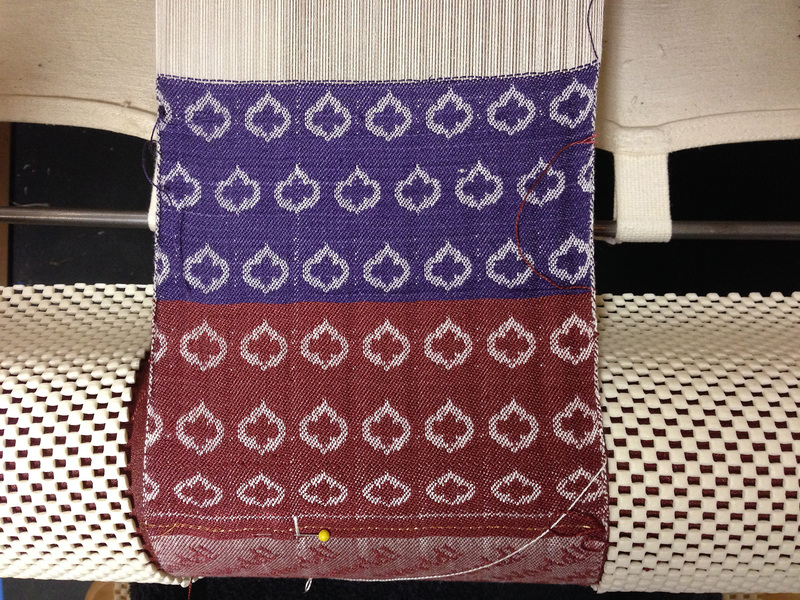 First I wove them in rows, then on the half-drop. I think it looks better on the half drop, but I’ll let Alfred decide. He’s coming over tomorrow to weave a pomegranate scarf on Emmy. Another intriguing development: I’m shipping some exotic woods off to Bluster Bay on Saturday morning. I love Bluster Bay shuttles, and I love exotic woods with interesting patterning in the wood. I had asked them several months ago if they could do a shuttle out of something really exotic – curly koa perhaps – and they agreed. (Probably because I did them a favor awhile back, but possibly just because they’re awesome people.) However, the project had stalled, because Terry hadn’t been able to find the right wood. Fast forward a few months. I was browsing through some exotic woods online, wanting to get some for the shuttles but not sure if I wanted to buy sight unseen, when it dawned on me that there must be exotic wood sources locally. A little Googling brought me to Global Wood in Santa Clara, and I ran over there at lunchtime. While they didn’t have curly koa, they did have an interesting selection of woods! I bought some amboyna burl, a piece of chechen, some fiddleback pink eucalyptus, and (purely speculatively) a piece of buckeye burl. I am not sure whether any of these are suitable for shuttles, but Terry said to send them along and he’d let me know what works. I’m devoutly hoping that at least one of them will work – Bluster Bay shuttles are wonderful, and to have one in a drop-dead-gorgeous wood would be phenomenal! Meanwhile, the cats are getting into more mischief. Fritz has discovered that he can jump straight up onto the kitchen counters – oh dear! It’s time to clear the counters, and get the dirty dishes out of the sink. And he has started chewing on the dining room chairs. They are rambunctious teenagers! But adorable nonetheless. And they still love boxes. 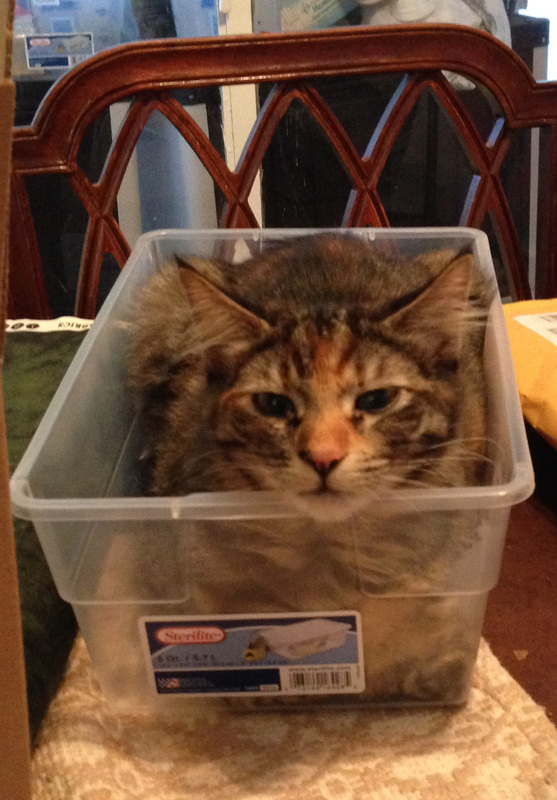 Here is Tigress in a storage box destined for the weaving studio. Maybe she’s trying to sneak herself into the garage? If so, perhaps an opaque box might be better. I love the leonine aspect of Tigress’ beautiful face!! Nice call on the half-drop version of the stylized pomegranates. I like that version a lot! The chechenwood should make a good shuttle. I made a box out of chechen last year, and of course as soon as it was finished I managed to drop it on a cement floor. There was a small mark on the wood but it didn’t actually dent appreciably, and the wood seemed to have dealt with the shock quite well. 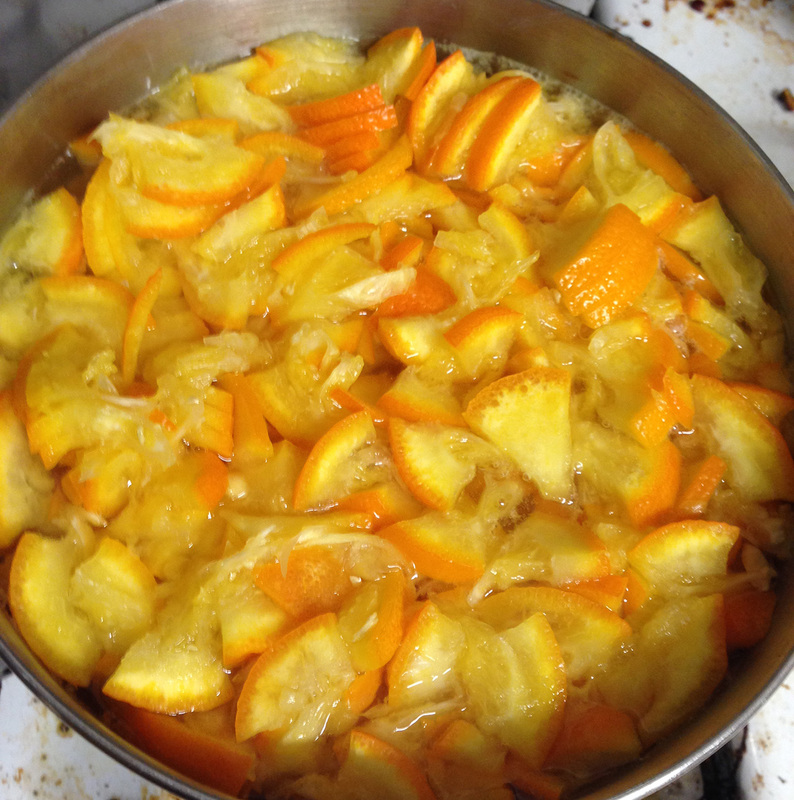 And the marmalade looks scrumptious! Tien, you are my hero. Weaving and marmalade, too. I keep hunting for seville oranges, mail order seems like a great idea.